How companies like Drift, Death to Stock Photo, The Clymb, HomeAdvisor, The New York Times and Crowe Horwath are using segmentation, personalization and first-person voice to increase opens, clicks and sales from email marketing. Predictable email marketing strategies aren’t working anymore. Too many companies are simply sending out a newsletter with blog summaries and product updates. Buyers are tuning them out and unsubscribing at record rates. But, these 6 companies have broken through the boredom-inducing clutter to stand out — and to get results for their companies. They’re using improved personalization, segmentation, first-person voice and behavior-based triggers to achieve high response rates from their lists. Depending on the company, the goal might be customer feedback, paid subscriptions or sales. Here is how they do it. Drift, a messaging platform for marketing and sales, allows companies to open up direct conversations with interested website visitors. When they weren’t getting the results from email marketing they wanted, they decided to treat it more like a good first date. That was Drift’s October 2015 onboarding email. It tries to do a lot. It’s long and wordy. It wasn’t working. It wasn’t leading to second dates. Eventually, they shifted to this version, sticking with first-person speaker, but also asking questions. On that version, the first deployment got 75 replies — actual replies — from customers explaining how they found Drift, why they wanted to sign up, etc. As an early company, these responses not only helped them engage new prospective customers, but gave them feedback to refine their product and positioning. 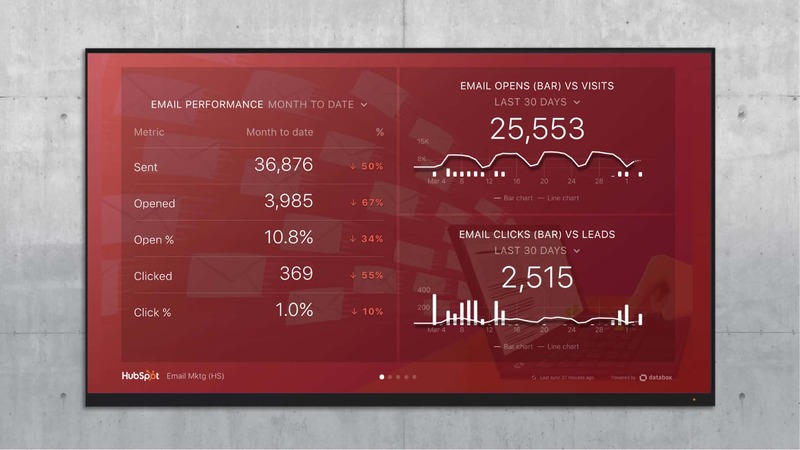 Drift also wanted to use email marketing to improve their onboarding process. For this, they turned to a program called Drip for marketing automation, which allows for timeline-based onboarding and behaviorally-triggered outreach sequences. The program can identify when a user has “hit a wall” — unsure what to do next in the app — and then send emails designed to get them over it. The result? Their average open rate is about 66 percent, and their average click rate is about 10 percent. Both numbers are very strong regardless of industry. Drift put in the extra effort to make sure their users received the right message at the right time. Their users responded because it was clear the emails related to their personal interests. How HomeAdvisor Increased Email-Generated Revenue by 114% Despite Shrinking Their List. HomeAdvisor decided to reevaluate their relationship with their subscribers after a rebrand. They had previously experienced deliverability issues on certain ISPs due to low open rates. For example, Yahoo redirected most of their emails to the spam folder. Overall across the first two years of their engaged list + relevant content focus, email-generated revenue increased 114%. The New York Times is traditionally viewed as an “old-media” brand. But, that did not stop them from changing their mass-broadcast model into mass-personalization. From research, they learned that people were twice as likely to become paid subscribers, if they signed up for a newsletter first. Since the bulk of their revenue comes from subscriptions, they eventually dedicated a 12-person team to their newsletters. Now, there are 33 separate ones that a visitor to nytimes.com could sign up for. Since having a dedicated 12-person staff isn’t possible for all companies, the key takeaway is this: have a unique voice. The Times employs some of the best journalists in the world, but early iterations of their emails were RSS-style. They may have been put together by human beings, but they didn’t sound human. Now, for example, their food editor — a busy guy — writes the food-based newsletter himself. He’ll even sometimes go off-topic on things that might interest his base subscribers. Partially as a result of these unique voices, the average open-rate across the 33 newsletters is close to 50%. Some of the newsletters have an open rate over 70%. The average open rate (per MailChimp) for media and advertising is 22.4%. While The Times doesn’t link revenue numbers to newsletters publicly, subscriber volume increased 14% in the first six months of their new approach to email marketing. No matter what email marketing program you use, there is invariably going to be an option for A/B testing, personalization, and other potential experiments. You can adjust send time, subject line, versions of the email itself, etc. If you play around with these features at enough of a volume, you can begin to gather actionable insights on what times, subject lines, templates, and list combinations are driving the most revenue or engagement for you. The Clymb sells vacation gear online to fitness and outdoor enthusiasts. When they decided on a new approach to email marketing, they first changed the template they were using. They sent out the new template to 20% of their engaged list, and then used a different 20% on subsequent mailings. The new template had higher engagement levels, so they decided to proceed with it for their future sends. The next step was personalization. Previously subject lines were based on content within the email, with no personalization. They added in dynamic subject lines based on information in the user’s profile and past clicks. Now the email recipient doesn’t have to wonder if this specific email is relevant to them; the dynamic subject line makes it so they already know. The results? There was an 8% increase in purchases and a 71% increase in revenue from email campaigns once both changes were initiated. Death to the Stock Photo is a monthly bundling of high-resolution images for creative professionals. Much of their growth, including the ability to launch a premium plan, was driven by their email marketing. Their approach is simple: make conversion a habit. When list subscribers became accustomed to getting some degree of value in every email they received they upgraded at a higher rate. Much like some of the other examples here, they send engaged users more emails. They call that “segmenting based on hunger”: a person who engages more frequently with their emails probably has a pain point they solve. So, those subscribers ultimately receive more emails. Email is such a powerful tool for them that their homepage, seen below, encourages users to sign up for an email above all else. Their goal with the home page is to introduce their paid plan, but convince new visitors to sign up for the free newsletter. No one is going to open an email — much less buy something from an email — if the content being promised doesn’t align with their interests. Sounds simple, but many companies don’t pull this off. Crowe Horwath is a public accounting and consulting firm. You you usually don’t think of B2B public accountants when you are talking about innovative marketing. But Crowe Horwath’s email marketing achieved 133% ROI in seven months, even though a typical sales cycle for them is 12-18 months. At the time they were launching the email program, many financial institutions were shopping around to update their core systems, whether because of security concerns or other reasons. The team began with a list of 4,000 executives who might be interested in their services. They initially were emailed an offer for a piece of content (free) every four weeks. If an executive downloaded an asset from the invitation email, he/she was automatically placed on one of the four tracks. Every segmented subscriber would then get emails every three weeks with content relative to their track. The content they received was adjusted by interaction with previous emails, which put them into later funnel stages (if they had interacted). Overall the Crowe Horwath content team created 12 pieces of content in each track, with a mix of top-of-funnel, mid-funnel, and late-funnel. If someone on the list downloaded three pieces of content or one late-funnel content, they were assigned to sales for follow-up. Thirty three percent of invited executives joined the program, and the open rate on the nurturing emails was about 75% — almost unheard of for B2B services. Are your results waning? Maybe it’s time to step up your email marketing game. First, make sure you’re measuring your results. Every email marketing or marketing automation tool on the market lets you track opens and clicks. Here’s a dashboard for Mailchimp. Consider using HubSpot or Google Analytics to measure downstream metrics like leads and sales that result from your email marketing too. 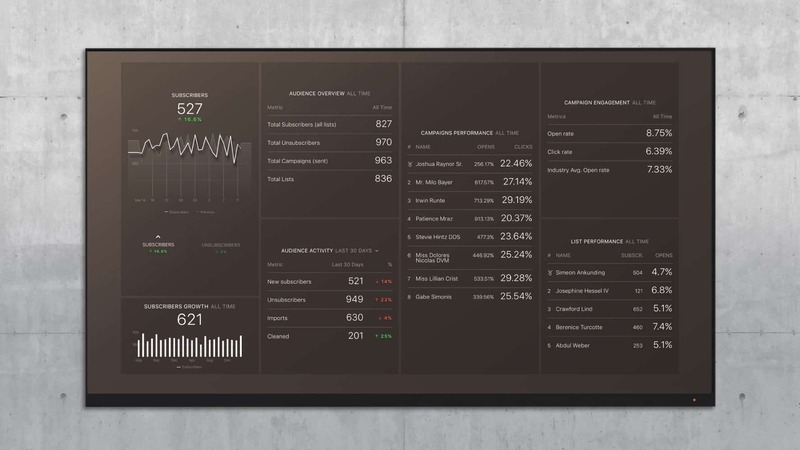 Here’s a dashboard that lets you do that with HubSpot. Ask for feedback like Drift and send emails from a person. Shrink your list and target your content better like HomeAdvisor. Launch topic-specific newsletter like the New York Times. Email marketing may be the only way subscribers experience your brand. If you want to establish a relationship with them, you need to show that you have put in some effort to understand their interests, educate them and engage them as an individual. Most of us are inundated with email marketing messages. But, you can break through the clutter by innovating on your strategy. It might take time and some testing, but you have a chance to clearly separate yourself from other brands by borrowing some of these ideas for your business.